The former Sampdoria man joined Arsenal in the summer and has been an instant hit with fans and his team-mates. Torreira has attributed his good performances for Arsenal to the Uruguayan fighting spirit he has brought to Emirates Stadium, and the confidence he has felt from coach Unai Emery. He has been relentless with his work rate since joining the Gunners in the summer from Sampdoria, with his tackling and pressing style. 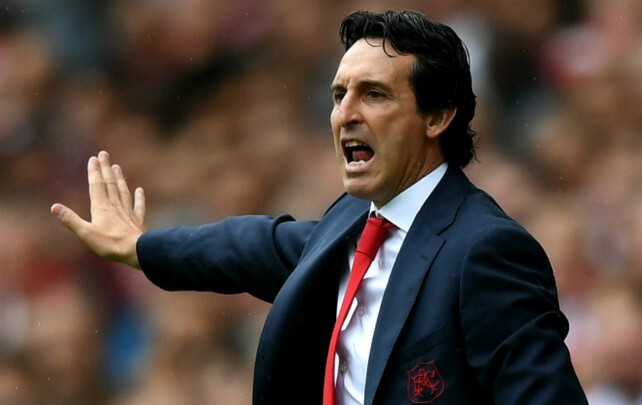 2 Comments on "“Lucas Torreira has big qualities”, “Best i’ve seen” – Arsenal boss hails new signing; calls midfielder key to his success"
I really agreed with the Coach this guy is the best Signing of the Season and we’ve not seen anything yet, let wait till next Season we will see Wonder. I really LOVE this Guy. This Guy is the best Sgining of the Season with what he has been doing for Arsenal and he is just coming up let wait till next Season he will surely Perform Wonder. I really Loved this Guy God bless you LUCAS TORREIRA.